With a stay at Gator Lodge in Jacksonville, you'll be within a 10-minute drive of Jacksonville Landing and Memorial Hospital Jacksonville. This motel is 5.3 mi (8.6 km) from TIAA Bank Field and 8.8 mi (14.2 km) from St. Johns Town Center. 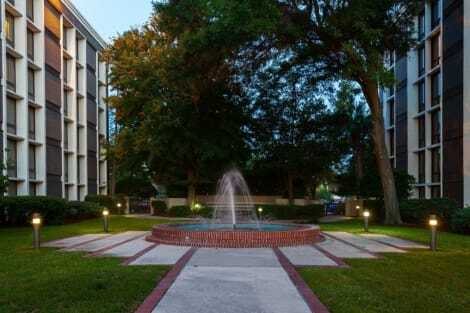 With a stay at Tricove Inn & Suites in Jacksonville (Southpoint), you'll be within a 15-minute drive of Jacksonville Landing and St. Johns Town Center. This motel is 9 mi (14.5 km) from TIAA Bank Field and 10.7 mi (17.3 km) from Mayo Clinic Florida. The Best of Airport Hotels in Jacksonville, FL Urban style meets stunning natural beauty at the Crowne Plaza® Jacksonville Airport hotel. Our guests enjoy the advantages of a free airport shuttle and a prime location near the JAXPORT cruise terminal and other popular local attractions. 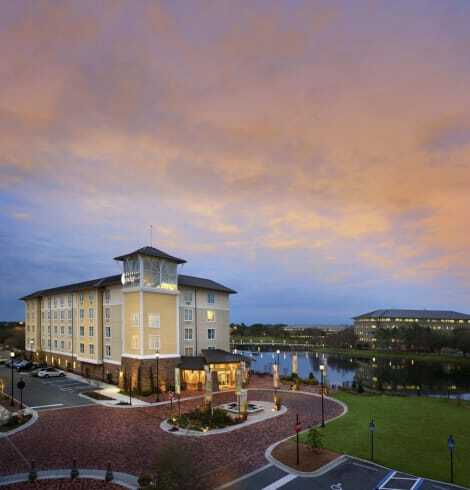 Smart business travelers absolutely love the convenient location of our upscale hotel near Jacksonville Airport. With 10,000 sq. ft. of event space and dedicated Crowne Meetings Directors, we are the perfect place to hold your next conference, convention or banquet. We also offer free Wi-Fi access and an internet cafe, so you can stay productive during your entire visit. A trip to Jacksonville isn't complete without a day at the beach. We're only a short drive from historic Fernandina Beach and Amelia Island. Learn how beers are brewed at Anheuser-Busch Brewery, or visit the penguins at Jacksonville Zoo. River City Marketplace, featuring shopping and dining options to please all tastes, is just across the street. Outstanding guest service, a seamless blend of style and comfort, and terrific amenities are why we're the premier choice among hotels near Jacksonville airport. Enjoy a variety of features, including the indoor/outdoor pool and a fitness center. We look forward to exceeding your expectations! The hotel is 100% smoke free. Featured amenities include a 24-hour business center, limo/town car service, and dry cleaning/laundry services. Planning an event in Jacksonville? This hotel has facilities measuring 14000 square feet (1301 square meters), including a conference center. Self parking (subject to charges) is available onsite. Featured amenities include a 24-hour business center, express check-in, and express check-out. Planning an event in Jacksonville? This hotel has facilities measuring 565 square feet (52 square meters), including a meeting room. Self parking (subject to charges) is available onsite. Featured amenities include a business center, limo/town car service, and express check-in. Planning an event in Jacksonville? This hotel has facilities measuring 110000 square feet (10219 square meters), including conference space. Self parking (subject to charges) is available onsite. 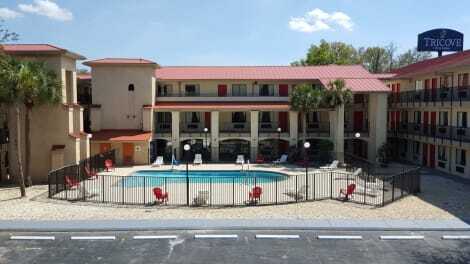 lastminute.com has a fantastic range of hotels in Jacksonville, with everything from cheap hotels to luxurious five star accommodation available. We like to live up to our last minute name so remember you can book any one of our excellent Jacksonville hotels up until midnight and stay the same night.